Full/normal support for Unibios 3.3, selectable like the other Neo Geo BIOSes via the core option with no workaround needed. I have just pushed a commit that enables the Unibios 3.3 for anyone interested in testing. @Wilstorm I should probably have tagged you in this Issue rather than the PR in case there is ongoing testing/discussion. Because mame2003-plus can load BIOS files by CRC theoretically you can just add the BIOS file as its named in their download. 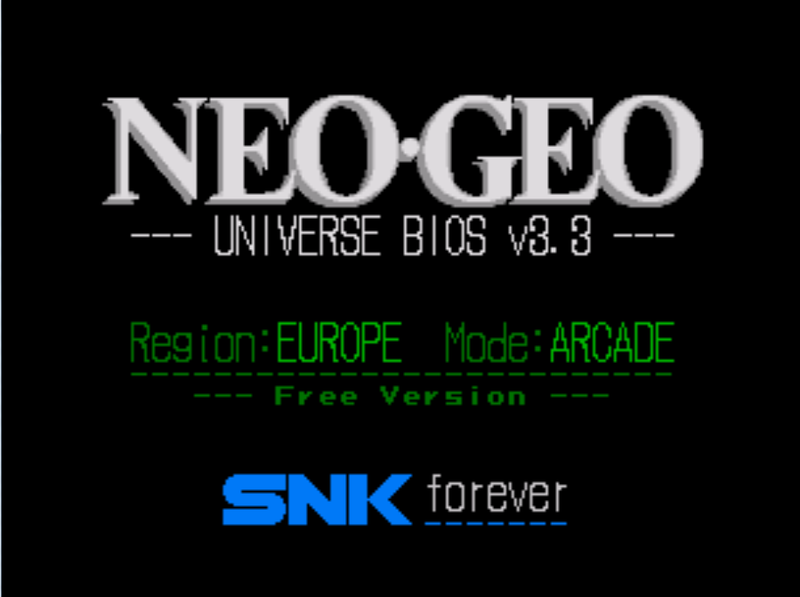 For maximum compliance, it should be renamed uni-bios_3_3.rom before being added to neogeo.zip or individual game romsets if you're using Full Non-Merged romsets. @KMFDManic once this has gotten put through its paces, I believe the Unibios 3.3 would make it possible for SNES Classic users to emulate the Neo Geo console versions. Not 100% sure if that is right or if it matters for SNES Classic but I do know 100% that the Neo Geo console has its own active fanbase in general. minor update: my original implementation was pretty simplistic in that didn't have a very robust way to know what to do if the user had set the ST-V BIOS core option & the Neo Geo BIOS option at the same time. @KMFDManic - Thanks for sharing. I have never spent much time getting into the BIOS but I find this interesting hope to learn some new things and I appreciate you sharing your findings. @arcadez I've refrained from tagging you thus far but sometimes you have a way of just knowing the answer to something like this. Is there any reason you know why Unibios 3.3 wouldn't be receiving input from mame2003-plus? I wonder if we could run Unibios 3.0 -- maybe whatever reason the BIOS is not getting the three-button + start input may be in common for us and FBA, and therefore if Unibios 3.0 works for FBA it would work here. I'll take a look at that soon. When the game boots (during the UniBIOS screen), hold B + C + D. This is because the system is emulating an MVS (not AES) system, which holds the softDIP settings in its own NVRAM. Go to the appropriate option. NOTE: I've found that timing on this plays a role. Sometimes the game name in the SoftDIP menu will be garbled; if you go into that, it will often be set to some ridiculously low defaults (difficulty level 1, etc.). If you let the game boot once, and then do a soft reboot (hold START + A + B + C to bring up UniBIOS menu, go down to "softboot" option), you can again hold B + C + D to access the soft DIPs properly. All good now:) Dip switches and everything else working flawlessly on all Arcade Cores that support NEO-GEO, with this exact set-up I just outlined above. Thanks! I can't believe you were able to figure out that workaround! There has got to be explanation involving how the inputs are declared in the driver or something like that Speaking of workarounds @KMFDManic did you see the "mirror shader" workaround for games with the mirrored image? I can't test on my Direct3D9 system but it apparently had no noticeable performance hit on WiiU. On Fri, Jun 1, 2018 at 12:46 PM, Kyland K ***@***. ***> wrote: @markwkidd <https://github.com/markwkidd> @grant2258 <https://github.com/grant2258> @Wilstorm <https://github.com/Wilstorm> I got UniBios working by doing this: Replace sp-s2.sp1 with uni-bios.rom (make sure to rename it to that file), and everything works great. Just loaded the Core, unibios worked immediately. I did same exploit on FBA replacing the asia-s3.rom with uni-bios.rom So, in effect: MAME 2003 = sp-s2.sp1 = swap with uni-bios.rom FBA 2012/FBA = asia-s3.rom = swap with uni-bios.rom All good now:) Dip switches and everything else working flawlessly on all Arcade Cores that support NEO-GEO, with this exact set-up I just outlined above. — You are receiving this because you were mentioned. Reply to this email directly, view it on GitHub <#225 (comment)>, or mute the thread <https://github.com/notifications/unsubscribe-auth/ASphdlYZSgpDVr3j8ezxWvSC_nf9v4vuks5t4X4MgaJpZM4UJKeQ> . 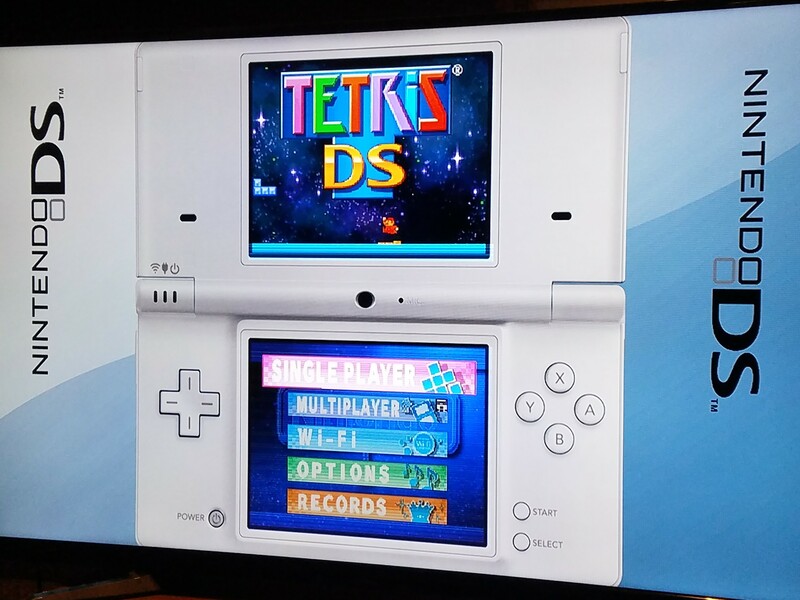 Yes, we officially have DS now:) And, I am going to add to it by having it set up with this very nice Border, as an Add-On:) The picture is, in fact, the game running on SNESC, hehe. @KMFDManic there was recently a thread on the retropie forus about the unibios and how they all have different crcs when people buy them. It might be worth checking you crc is matching mame/fba dat if it isint just rename the exactly as the emulator wants it not sure if fba and mame are using the same naming conventions though. it could be something else right enough. @markwkidd we migh have to add one to the bios number from whats noted here just pasting this for when i do the testing. @KMFDManic - This is great news! Thank you for the information so which unibios are you using or different versions for different options? Here's a list of unibios in 2003+ and FB Alpha 0.2.97.43 below. I think .43 just added uni-bios_3_3.rom in this newest version vs. .42. This morning I tried downloading lr-fbalpha from source in RetroPie but it installed .42 still and not .43. I am holding both sets until I know it's on the new version due a lot of changes between .42 and .43. Is the file (sp-s2.sp1) that gets replaced unused? @grant2258 I'm coming back around to this issue because there must be a way for this to work without such a hack. It seemed like maybe you were onto a clue with this post -- did you ever give it a try? Just wondering what whould you enter in a neogeo.ini for mame to read the sp-s2 unibios. @thatman84 I made another neo geo thread last year, which is where this one stemmed from. But, essentially, that is the exploit I figured out and showcased for these guys. We did some recoding, on my end, so that MAME 2003 and FBA and Unibios could all be used simultaneously. It has been an absolute godsend. Coding in action. I recommended this as a potential Core Option at the time. But, we ended up scripting it into RetroArch, instead. Absolute love a one solution to fit them all scenario, especially for Neo Geo. I’m pretty new to unibios and FBA stuff but this exploit worked a treat for regular lr-MAME to get me going.